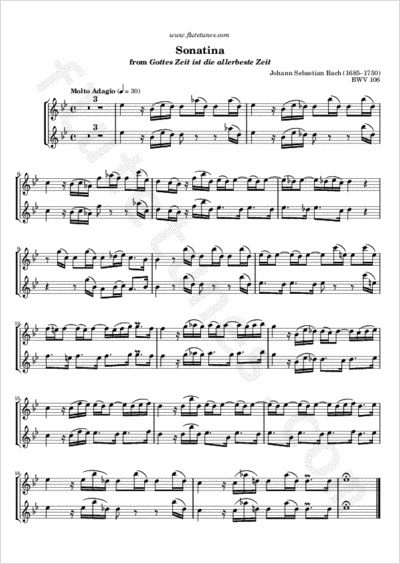 Bach was probably only 22 years old when he composed this Sonatina, in which two alto recorders mournfully echo each other over a sonorous background. The piece is the opening movement of the sacred cantata Gottes Zeit ist die allerbeste Zeit, also known as Actus Tragicus. Composed for a funeral, this cantata ranks among Bach's most important works, and musicologist Alfred Dürr even called it “a work of genius such as even great masters seldom achieve”.